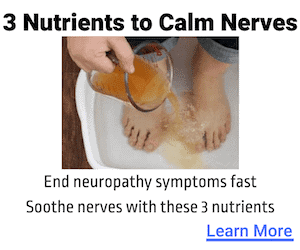 Nervestra Review: Is It a Breakthrough Liquid Neuropathy Supplement? 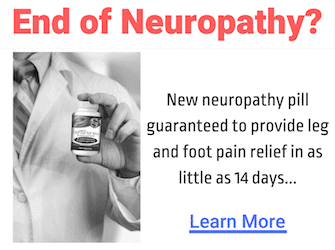 Nervestra is a liquid neuropathy supplement which promises to support healthy nerve function by filling in the gaps in your diet to prevent nerve damage or degeneration. The company markets the product very aggressively on a site they actually own called “NerveRemedyReviews.com” so we are very skeptical of many online reviews. The product is sold by Rejuvica located in Costa Mesa, California (their address is: 236 Fischer Ave, Costa Mesa, CA 92626.) They are an LLC which specializes in alternative health solutions and has a line of natural products. Their mission statement includes commitment to producing superior supplements and promoting them only with open and honest information. They follow a bipartisan approach for health which combines both natural supplements and traditional medicine, which is unusual in the natural health industry. They are self-proclaimed as one of the most trusted names in the nutraceutical field and currently offer 4 liquid health supplements. They also have a thriving blog on superfoods and other natural supplements which have shown health benefits. Nervestra is made by using cold extraction to get the essential oils and liquids from the plant ingredients. It can be used daily as a regimen and may take several doses before effects start to show (usually within 1-2 weeks). It's aimed at supporting a healthy nervous system for aging patients rather than as a specific cure to any disease. Most of the components in Nervestra involve anti-inflammatory properties and studies have shown that inflammation of the nerves is often a cause of nerve pain. The various herbs are used to encourage blood flow, boost nutrient amounts available to the body for repairs, reduce inflammation, and improve nerve regeneration. Nerve degeneration is thought to be the most common cause of nerve pain as the body ages, it's also thought that the damage to nerves from diabetes or injury is what causes nerve pain; by improving blood flow and aiding the body to repair that damage, the pain should lessen. The product comes in a tincture bottle in drop form, so you can measure specific doses into any drink or onto your food. It's not recommended that you put it directly into your mouth. The absorption rate for liquids versus capsule forms is 98% compared to only 39-53% which means it's more bioavailable for the body to use. The main ingredients are a selection of herbs including Spirulina, Vitamin D, Feverfew, Oat Straw, Passionflower, Skullcap, Turmeric, California Poppy, omega fatty acids, acetyl-L-carnitine, and B vitamins. While many of the ingredients do have scientific studies that support their effectiveness against neuropathy, these studies were done using injectable forms which are absorbed directly into the bloodstream as opposed to ingested which may affect their potency. While the company says that the “all natural” element of the product makes it practically impossible for users to experience side effects, there are still some reports and there is a risk of allergy to any of the ingredients. Turmeric is great for inflammation, but it can also cause stomach upset, headaches, nausea, diarrhea, and dizziness and in the extreme it has been shown to cause an irregular heartbeat when taken in especially high doses. The dosage in Nervestra isn't high enough for these but if you take too much or are sensitive you may see some stomach issues. California poppy is a sedative that is related to the opioid poppy and contains alkaloids which have analgesic and anti-spasmodic properties. It does not actually contain opium and has no known side effects, but caution should be taken with vehicles and driving when using supplements that contain this to make sure you don't get drowsy. Feverfew is the ingredient that is more likely to cause problems as many people are sensitive to it. At its mildest, it causes gastrointestinal issues ranging from flatulence to diarrhea, while more severe reactions include anxiety, tiredness, menstrual issues, palpitations, and weight gain. Many of the feverfew side effects are similar to what women may experience once a month. Passionflower has some mild side effects with few people reporting issues including drowsiness, nausea, dizziness, and issues with coordination. These can all affect driving so like California poppy, caution should be taken at first when driving or operating machinery. Another issue may be caused by the extremely high dose of B vitamins in the supplement. The dose is 13,000 times the recommended daily allowance and even though that is not listed as enough to cause side effects, a high intake can lead to diarrhea and dizziness. The most common customer complaint of side effects is digestive upset. The ingredients may cause skin sensitivity which can exacerbate nerve pain in rare cases. Some people stated the product did not work without leaving much explanation as to how long they took it or the specifics of their condition. So although these must be taken into consideration, they should be taken with a grain of salt. Around three quarters of the reviews for Nervestra are positive or good. Most of the positive reviews about Nervestra have customers that came back for more bottles since they're so successful. People say that they tried the product and then stopped taking it and ended up having to go buy more as the pain came back which convinced them of the product's effectiveness. 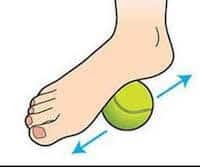 The majority of people state they use it for diabetic neuropathy, a burning pain sensation, and that it is usually becomes effective in a week or two. Those who don't say that their pain was cured still claim they experienced some positive results with the product. This is the downside of a liquid supplement. It's not going to be as easy to take as pills. Even though there are mixed reviews, there are also some positive ones that claim they reduced their pain. The company offers a 60-day money back guarantee where you can return the bottles whether they have been opened or not and the cost will be refunded minus the shipping. They claim they have less than a 2% refund rate. Even people who have been unhappy with the product admit that they honored this. 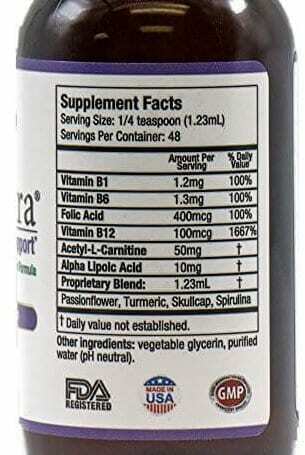 Overall, the reviews and customer response to Nervestra is positive. Most of the ingredients do have scientific studies backing their effectiveness for inflammation and pain issues. While the actual effectiveness of the tincture versus the injection is debatable, the fact that this is a nutrient supplement instead of a homeopathic remedy also makes it more reliable as a solution for those experiencing nerve pain. It seems like a genuine company and product worth trying. The company takes orders over the phone and through their website. The ideal package is a three- month supply; that way you have plenty of time to get regular dosage and see whether the product works for you. It's not advised to buy through third-party sites like Amazon or Walmart as the product may not be genuine nor fresh. Shipping takes around 3 days. A single bottle offers 24 daily doses and cost $44, ordering two will get you a saving of several dollars at $80, while ordering three costs $108. These prices do not include shipping. This is a special offer at the moment as the usual price is $63 per bottle with $6.97 shipping or a 3-month supply for $129 plus $9.97 shipping. Occasionally the company also offers 14-day special offer trials with automatic billing after for just the $6.97 shipping. The price is the same whether you order by phone or on the secure website. Although the company does sell on Amazon, they advise people to order through their site if they want the protection of their money-back guarantee. 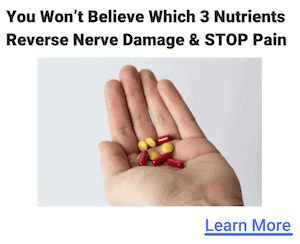 Although Nervestra has ingredients which are unlikely to cause any sort of side effect, the bad taste seems to be a frequent complaint and the fact that the company has changed the formula several times is a bit suspect. Nerve Renew (read our review here) has very similar ingredients but they have stayed consistent and the capsule rather than tincture form means you never have to taste it. Most importantly, the ingredient dosages are clear and transparent based on real-world clinical studies, so you know exactly what you are putting into your body.